If you are in need of a strong and durable professional portable shelter that can provide ample space, try the extra spacious Vista 12 x 12 Canopy Instant Shelter from E-Z Up. The Vista Canopy Instant Shelter is the largest Vista Canopy Shelter model, yet just as sturdy as the more compact versions. 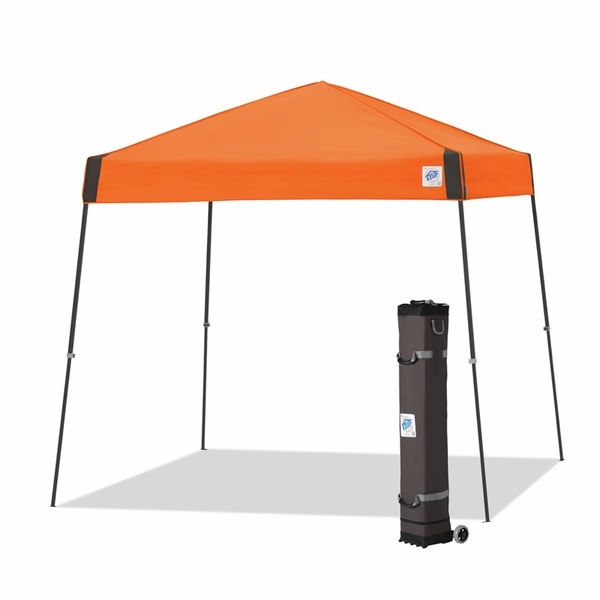 The E-Z Up Vista Shelter features a durable Steel frame with an easy to use Pin Pull Slider for locking and releasing. The high quality fabric top is UV Resistant and meets all Fire Resistant Requirements. The Vista also features an open cathedral ceiling for added head room. A 3 year Defect Warranty is included. Do you have to take the fabric off of the frame or can you leave it in tact to fold it up and store it ? You can definitely leave the top on for storage. Is the Vista 12 x 12 measured at the top or the base? 12 x 12 is the measurement for the base. The top will be closer to 8 x 8. Is the EZ-UP Vista model 100 percent water proof. Also, what is the weight? It is water resistant, but not completely water proof. The package weighs 41lbs. 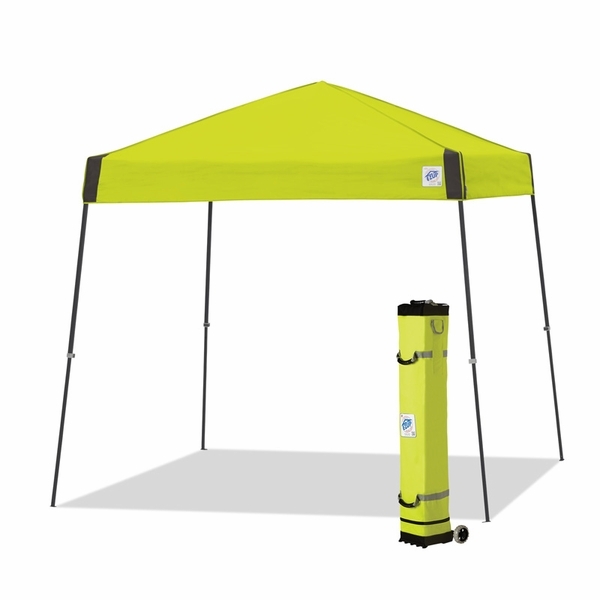 Are all the easy up canopies UVA and UVB treated? Per the manufacturer, "They have UV protection." Set up by myself, thanks again!